MANSFIELD, Ohio — A proclamation signed by 150 Ohio pastors dubbing 2019 “The Year of the Bible” was issued on Tuesday during a press conference in which several of the signers spoke about the wonders of the Word of God, its role in American history, its confirmation in science and archaeology, and the need for all men—including professing Christians—to turn to the Scriptures and find truth. Randy Raynes of Mansfield Fellowship Baptist Church, Jerry Laudermilk of Ontario Abundant Life Tabernacle, Mark Cobb of Providence Baptist Church, and Steve Brenneman of Awakening Christian Center in Mount Gilead presented the proclamation at the BibleWalk Museum in Mansfield. Also present were Mansfield Mayor Tim Theaker, Shelby Mayor Steve Schag and Mansfield city council member Cliff Mears. The document expresses concern over the biblical illiteracy of modern times, including in nominal churches, where the authority of the Bible is too often undermined. “[W]e formally reaffirm the Bible as being living, active and God-breathed; and demonstrating thru history to be the anvil that has worn many hammers out,” the proclamation reads. The men also spoke of the Bible’s role in early America and its promotion by civil leaders throughout the nation’s history, as well as the archaeological and scientific data backing the veracity of the Scriptures—all of which are noted in the proclamation. “The Old Testament of the Bible, completed 450 years before the birth of Jesus of Nazareth, contains over 300 prophecies that Jesus fulfilled through His life, death and resurrection. The odds of 1 person fulfilling just 8 prophecies are a staggering 1 chance in 10 to the 17th power,” the proclamation notes. The pastors additionally provided data from a recent survey that demonstrated that the Bible is a compelling force for good in the lives of area Christians. The survey revealed that a significant number of church members are active in visiting the elderly, hospitalized or incarcerated, and a number of churches availed their buildings as neighborhood watch sites or polling stations, or opened their doors for community health screenings and blood drives. 58 churches in Richland County alone assisted with missions work in 93 countries. “This local outreach study really illustrates that good works is the byproduct of following the Bible. 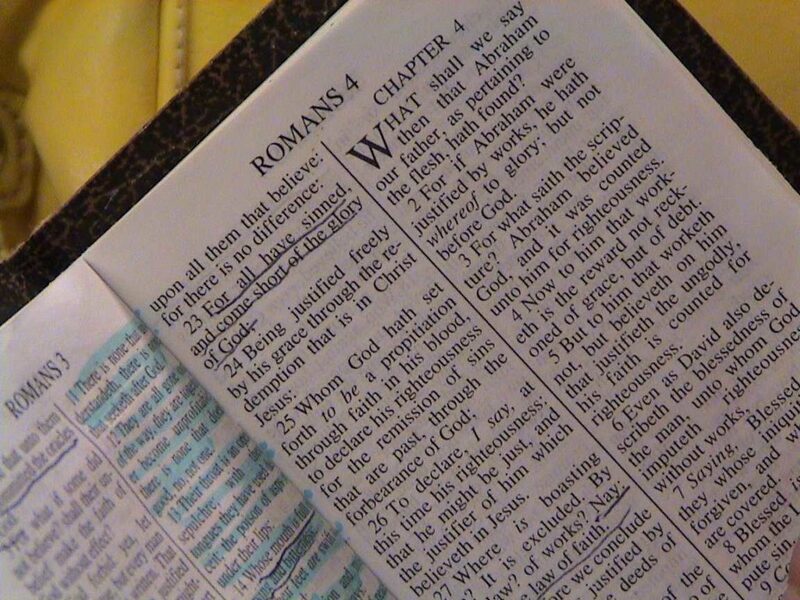 This is why we are encouraging Ohioans to study the Bible,” Raynes said, according to the Richland Source. Read the proclamation in full here, as posted to the Richland Community Prayer Network website. Other signers included Daniel Baer of Mansfield Gospel Assembly, Bill Lewis of Butler River of Life Church, George Lewis of Shelby Temple of God, Steve Baldridge of Rome Community Church, George Swain of Homerville Grace Brethren Church, Paul Tracy Sr. of Ashland Lighthouse Pentecostal Church, Rodney Noblit of Galion Heritage Baptist Church, Les Champer of Shelby Church of the Nazarene, Paul Larsen of Mansfield First English Lutheran Church, and Glenn Hamilton of Lexington Church of the Cross.